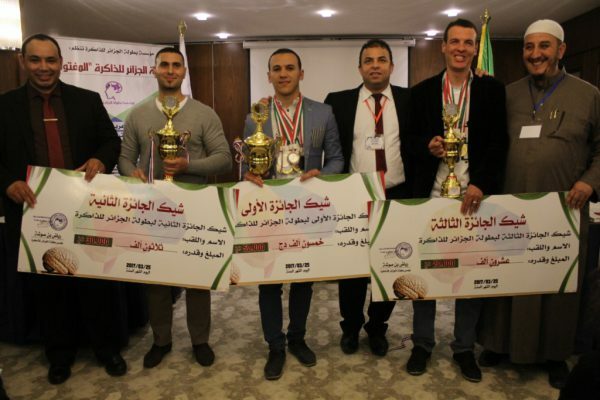 The Algerian National Open championship in its 6th edition was held on Saturday, March 25th, 2017. The event was organized in the beautiful coastal city “JIJEL”, precisely in the lecture hall of the most luxurious hotel “Dar El-Aaz Hotel”. The tournament was under the supervision of Dr Riadh Bensaoucha –founder of the Algerian Memory championship, founder of the Arabian Memory Championship and also the official representative of the World Memory Championship– in the presence of the Level 2 International arbiter Ahmed Lamine Chala who was in charge of managing the tests inside the hall, Mr Lakhder Achour as chief of arbiters, Mr Lahcene Boucetta as responsible of the organizing, and of course with the collaboration of Mrs Samira Bechani and Dr Abdelaziz Ardjani. 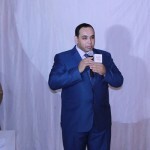 The tournament was organized by “the Algerian Memory championship Foundation” represented by Dr Riadh Bensaoucha -Director General of the Foundation- in cooperation with Intellectual Investment Center-Jijel, Memory foundation for Training -Jijel, Benaceur Center-Tiaret, Ihsan Academy- Laghouat, Al Manara Center- Ghardaya, Excellence Center- Djelfa, Alphorm foundation-Algeria, as well as many other collaborating parties within Algeria. 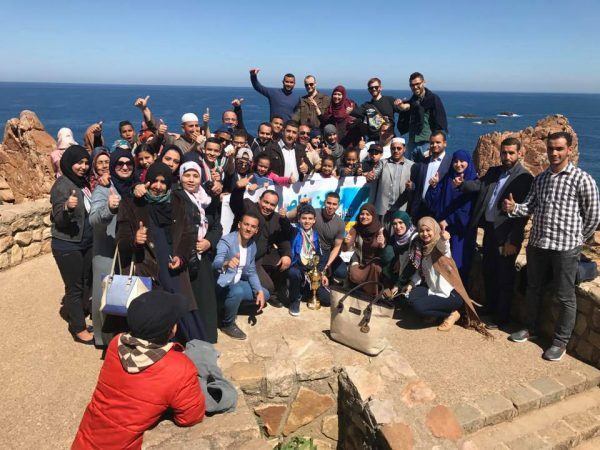 25 arbiters from different Algerian states participated in the arbitration of the tournament after being trained by Dr Riadh Bensaoucha on March 24th at the Intellectual Investment Center-jijel. 49 competitors participated in the 6th edition (29 females and 20 males), 48 of them from Algeria and 01 from Lebanon who is Dr Mirna Atieh. The competitors were consisted of: 17 Adults, 14 juniors and 18 Kids, 09 among 49 had previously competed in memory championships, while the others were new competitors. The Algerian memory Champion of 2017 : Yahia Nasreddine Rassine, with a total of 4491 points. 2nd place: Nasser Aziri, with a total of 3943 points. 3rd place: Hakim Belouad, with a total of 2253 points. The Algerian memory Champion of 2017: Rania Chiraz Benabdelkader, with a total of 1421 points. 2nd place: Oumnia Riham Bouali, with a total of 1084 points. 3rd place: Khaled Elouneg with a total of 1001 points. The Algerian memory Champion of 2017: Mohamed Imad Eddine Benaceur, with a total of 1626 points. 2nd place: Abdelhamid Saadi, with a total of 1513 points. 3rd place: Sadjida Daoudi, with a total of 1003 points. The results were announced on the evening of March 25th, 2017, where the ceremony began with honoring the Governor of Jijel state by a shield from the Algerian Memory Championship Foundation received by the Culture Director, and then Honoring Mrs Salima Kawa, Culture Director by another shield handed to her by the champion Yahia Nasreddine Rassine. After that, the book “New Code of memory” was given as a gift to the media organizations that covered the event (Al-Anis channel, Echourouk channel, the Algerian news agency, Al Nasr Newspaper, representative of the Directorate of Youth Institutions, Panorama Foundation represented by Iqra newspaper, Sawt Al Ahrar newspaper, National Cultural Radio). Afterwards, certificates of participation were given to competitors and other certificates awarded to the arbiters, organizing team and media. Then the competitors Hakim Belouad and Bassam Bourahla gave a show to the public by finding the day of birth of some guests which left them astonished. Besides, medals were awarded to Kids winners and honored the remaining kids with the book “new code of memory” as a motivational gift. Accredited memory trainers were honored as well with certificates of appreciation for their active role in Belding the new champions. Also the first three juniors were honored with the medals, and then honorary shields handed to the success partners Mr Abdel Aziz Arjani Director of the Intellectual Investment Center-Jijel, Mrs Asmaa Benaceur Director of the Benaceur Center-Tiaret , Mr Mustafa Benchaa Director of Ihsan International Academy-Laghouat, Mr Mohamed Oudjana Director of Al manara center-Ghardaya, Mrs Samira Bechani Director of the Memory foundation for Training -Jijel, and Dr Mirna Atieh the Lebanese contestant. Mr Omar Ali Yahia Director of Aphorm, was honored with a certificate of appreciation for his initiative to grant free 10 days e-training to all contestants. After the medals were granted to the Adults category, it was time to award cups to Kids category, and then the audience watched a video about Algerian memory championship 2017 which they like it so much. Winners of the juniors’ category received their cups as well, certificates of Arab records and memory masters were distributed to the concerned winners. In the last, the cups were awarded to the winners of the adult category. The rewards were handed over to the first three winners. Yahia Nasreddine Rassine was declared the Algerian Memory champion of the year 2017 and he received the golden trophy. 1st place: Yahia Nasreddine Rassine (Adult), Oumnia Riham Bouali (Junior), Sadjida Daoudi (Kids). 2nd place: Khawla Benshanaa (Adult), Khaled Ebd Elilah (Junior), Mohamed Imad Eddine Benaceur (Kids). 3rd place: Hakim Belouad (Adult), Aya inssaf Bouali (Junior), Abdelhamid Saadi (Kids). 1st place: Yahia Nasreddine Rassine (Adult), Rania Chiraz Benabdelkader (Junior), Mohamed Imad Eddine Benaceur (Kids). 2nd place: Nasser Aziri (Adult), Khaled Elouneg (Junior), Abdelhamid Saadi (Kids). 3rd place: Hakim Belouad (Adult), Walid Henni (Junior), Fatima Zohra Benaceur (Kids). 1st place: Nasser Aziri (Adult), Oumnia Riham Bouali (Junior), Abdelhamid Saadi (Kids). 2nd place: Yahia Nasreddine Rassine (Adult), Daho Mohamed Benaceur (Junior), Sadjida Daoudi (Kids). 3rd place: Fouad Debbab (Adult), Aya Inssaf Bouali (Junior), Moudjib Mailbi (Kids). 1st place: Yahia Nasreddine Rassine (Adult), Khaled Elouneg (Junior), Abdelhamid Saadi (Kids). 2nd place: Nasser Aziri (Adult), Khaled Ebd Elilah (Junior), Mohamed Imad Eddine Benaceur (Kids). 3rd place: Madjeda Tidjani (Adult), Rania Chiraz Benabdelkader (Junior), Sadjida Daoudi (Kids). 2nd place: Nasser Aziri (Adult), Fatima Benchaa (Junior), Abdelhamid Saadi (Kids). 3rd place: Mebarka Kebir (Adult), Khaled Elouneg (junior), Fatima Zohra Benaceur (Kids). 1st place: Nasser Aziri (Adult), Walid Henni (Junior), Mohamed Imad Eddine Benaceur (Kids). 2nd place: Hakim Belouad (Adult), Aya inssaf Bouali (Junior), Abdel Hamid Saadi (Kids). 3rd place: Yahia Nasreddine Rassine (Adult), Rania Chiraz Benabdelkader (Junior), Khadidja Haifa Berrouba (Kids). 1st place: Yahia Nasreddine Rassine (Adult), Rania Chiraz Benabdelkader (Junior), Abdelhamid Saadi (Kids). 1st place: Nasser Aziri (Adult), Rania Chiraz Benabdelkader (Junior), Mohamed Imad Eddine Benaceur (Kids). 2nd place: Yahia Nasreddine Rassine (Adult), Daho Mohamed Benaceur (Junior), Marguerite Kazran (Kids). 3rd place: Khawla Benchenaa (Adult), Oumnia Riham Bouali (Junior), Khadidja Haifa Berrrouba (Kids). 1st place: Hakim Belouad (Adult), Aya Brahim (Junior), Fatima Zohra Benaceur (Kids). 2nd place: Nasser Aziri (Adult), Chaima Habiba Naceri (Junior), Nada Lebbada (Kids). 3rd place: Yahia Nasreddine Rassine (Adult), Oumnia Riham Bouali (Junior), Mohamed Imad Eddine Benaceur (Kids). 2nd place: Yahia Nasreddine Rassine (Adult), Khaled Elouneg (Junior), Abdelhamid Saadi (Kids). 3rd place: Hakim Belouad (Adult), Walid Henni (Junior), Sadjida Daoudi (Kids).